Sahara Jane Music: CD Release Show in Halifax on Friday Aug 24th! CD Release Show in Halifax on Friday Aug 24th! 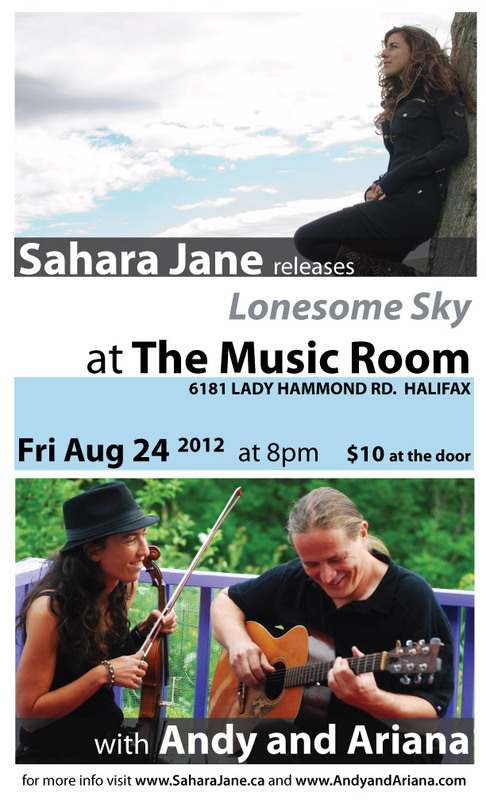 CD Release party for "Lonesome Sky" in Halifax at the Music Room on August 24th!!! Andy and Ariana will perform music from their recent album "Good to be Home"! Ken Shorley will accompany with amazing percussion!!! It will be a magic night of original music in a beautiful acoustic room!